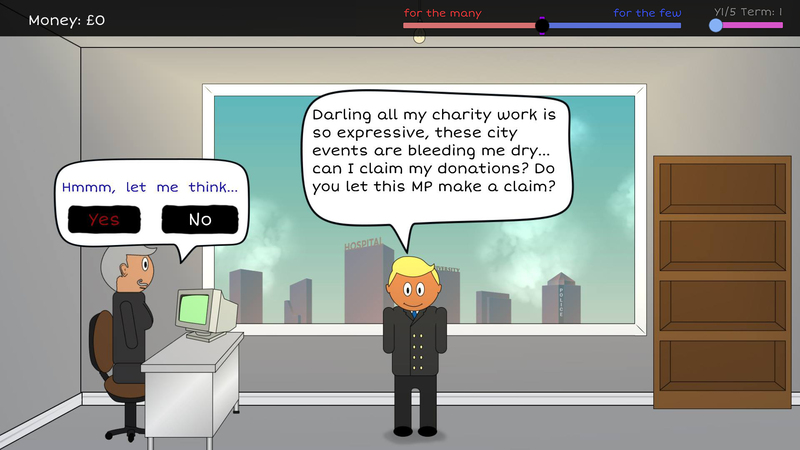 Strong & Stable Leader is a game made to make you think about British politics whilst having a laugh. Play the newly elected leader of the Tory party and try to stay in-power whilst making the choices YOU really want to make. Trying to keep party support whilst pushing left wing policies can be hard but it can be done! 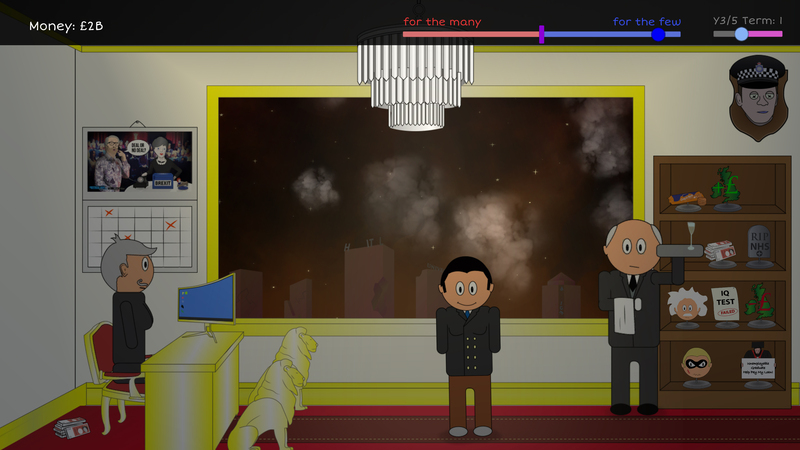 Over 35 political questions to get you thinking about current affairs. Upgradable office that is upgraded by spending the tax-payers money. A city skyline that changes depending on your choices. 10 unlockable achievements that save and are visually represented in game. Full joypad support, with visual button maps for PS4 DS4 controllers and Xbox controllers.